This article includes evidence and an exemplary new backrest design to illustrate the benefits of better posture when sitting in a wheelchair for prolonged periods. The author Ailsa Reston qualified as an OT in 1986 and is the co-director of RKS based in Chester. RKS and its independent living showroom provide specialist provision of wheelchairs and seating. This front-line experience has given Ailsa proven knowledge regarding effective wheelchair design and the importance of appropriate lumbar support. In her complete article that can be viewed here, Ailsa introduces the key benefits of sitting in a supportive wheelchair. Through good posture and head, trunk and pelvic alignment, chronic discomfort and pain can be minimized along with the risk of more serious irreversible conditions. Her text progresses onto explaining 'posture' as a definition and the health problems that can result from adopting a poor seated position. Regular or permanent wheelchair users can be prone to a multitude of issues ranging from back pain and fatigue through to Musculoskeletal deformities, Intervertebral Disc Degeneration and reduced Occupational Performance. Ailsa continues to discuss selective evidence that supports the need for wheelchair users to achieve a sustained lorded sitting posture, i.e., a healthy upright posture with natural spinal curvature. Commonly traditional wheelchairs have a vertical backrest that does not promote this position, whereas new designs such as the Strong Back include an arched configuration to encourage an extended posture. The most effective angle, position, shape and material employed within a wheelchair backrest is outlined by Ailsa and supported by comments from the Swiss Strong Back inventors. With backrest ergonomics optimized, wheelchair users can avoid many long-term health problems and enjoy a better quality of life. The provision of an appropriate and supportive wheelchair will enable good posture with head, spinal and trunk support and pelvic alignment. This is essential for regular or permanent wheelchair users to facilitate better occupation and well-being through reduced discomfort, back pain or fatigue. However many traditional wheelchairs do not promote good posture and lack appropriate lumbar support which can lead to chronic pain or long term health problems. This article discusses the importance of good posture, appropriate lumbar support and how an example wheelchair design, the TGA Strongback, may provide occupant benefits through a considered ergonomic backrest. ‘Posture is a term that indicates the relative position of the body segments during rest or activity’ Twomey and Taylor.1 ‘Sitting’ is a posture where weight is transferred to the seat of a chair or wheelchair through the Ischial Tuberosities and surroundings soft tissue of the buttocks and thighs. Depending on the wheelchair design, weight is also transferred through the backrest and armrests. Hence good postural health and reduced discomfort arises from maintenance of lordosis, interspersed with movement – achievable with a wheelchair that incorporates an ergonomically curved backrest and frame as opposed to a traditional upright backrest (Figure 1). “Bad posture and seating of an individual in a wheelchair often leads to musculoskeletal changes over time. If the wheelchair user is not sitting in a correct position, changes to the skeletal system can take place over a number of years, putting additional strain on the spinal column and limbs. These changes alter the efficiency of muscle groups increasing the stress on them resulting in joint and muscle pain”3 (Figure 2). There is a variety of evidence to suggest that sitting in a lordotic posture reduces the possibility of many health issues and back pain. It is important to note that pain arising from poor seated posture is insidious and that a wheelchair user’s healthy back, may not register pain until irreversible problems such as Intervertebral Disc Degeneration (IVD) has occurred. Therefore it is essential that a well-designed wheelchair is provided in the early stages of a user’s requirement and that teaching of healthy seated posture is both preventive and therapeutic. Hedman and Fernie referred to the results of the aggregate posterior ligament and force exaction that occur from loading in the flexed posture as ‘alarming’ in terms of potential damage to the posterior ligament and disc.4 Therefore it can be concluded that the potential for IVD and lower back pain is increased when a cyphered (bending forward) sitting position is achieved. Pynt et al. in summary suggests: ‘Sustained lorded sitting posture (healthy upright posture with natural spinal curvature) decreases disc pressure and thereby disc degeneration, exhibits less injurious levels of ligament tension and although it may increase Zygapophysial loading, this is not of itself considered hazardous to spinal health.2 A sustained cyphered sitting posture (bent, hunched over), on the other hand, increases Intradiscal pressure leading to increased fluid loss, decreased nutrition and altered cell synthesis and biomechanics of the disc, appearing to culminate ultimately in disc degeneration that is a cause of low back pain. 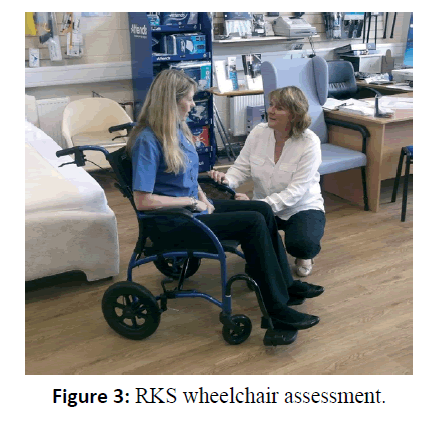 Figure 3: RKS wheelchair assessment. To eliminate the posterior rotation of the pelvis and concomitant flattening of the lumbar spine, the angle between the hip and the trunk needs to be increased Keegan, thus a greater reduction in hip flexion may be achieve by assuming a semi-lying position.9 Pynt et al. also reiterated the findings of Andresson et al. that for tasks not involving a forward posture, such as sitting in a wheelchair, it has been shown when a lumbar support of 4cm depth is used in conjunction with a reclined backrest of 130 degrees, lumbar lordosis is restored close to that of standing, i.e., intradiscal pressure is decreased approximately 6% compared with erect sitting without lumbar support.2,6 Therefore, a supported ‘rear arched’ spinal position approximately 10% less than full extension can assist with better postural health. This concept has been taken into consideration and applied in the design of a recently introduced wheelchair known as the TGA StrongBack in the UK. This Swiss ‘Strück’ product invented by Dr. Christian Grothe and Ladd Lougee supports a healthy seated posture. Three years of joint product development have resulted in an ergonomic wheelchair that incorporates a convex curved backrest to support natural lumbar lordosis. It is suitable for a wide range of extended sitting postures with minimal adjustment and includes seating material that supports tissue viability (Figure 4). 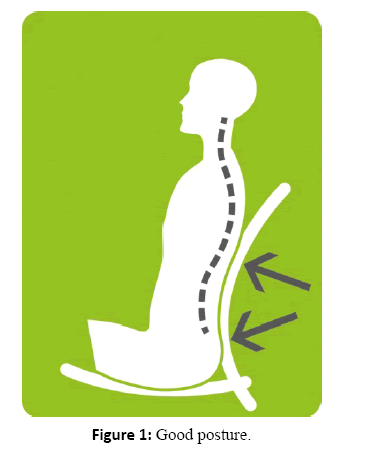 Figure 4: StrongBack inventor Christian Grothe. Grothe has a PhD in Engineering and has primarily worked in the field of Aviation research however following several years working in community equipment services across Europe; he has gained first-hand knowledge regarding the pain and discomfort associated with many conventional wheelchairs. Grothe comments: “With traditional vertical backrests, users always slump in their wheelchair and adopt an unhealthy seated position. This is because the conventional wheelchair geometry makes effortless upright sitting impossible.” The folding StrongBack employs an effective, ergonomic curved lumbar support that is integrated into the frame. It provides a standard, non-bespoke wheelchair that does not require additional postural supports in many circumstances so that optimum lumbar support and comfort is provided for a wide range of occupants. Care managers have a duty of care to provide all patients, residents and clients with equipment that is necessary and appropriate. A wheelchair that helps promote healthy posture and improves the well being of the occupant should be seen as a ‘need’ and not a ‘want’. Provision of poorly designed wheelchairs with inadequate lateral and back support can facilitate the development of many chronic conditions along with increased pain and discomfort. Both in the short and long term this can result in a greater need for intervention from other areas of healthcare and hence increase strain on available resources. By providing access to well designed wheelchairs with effective lumbar support, care managers can ensure a more positive outcome for users whilst optimizing care and equipment budgets (Figure 5). 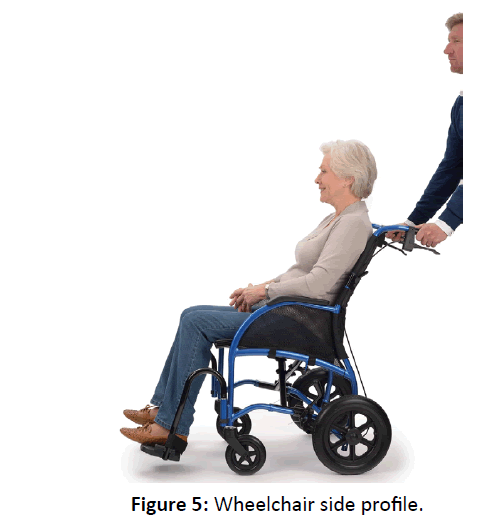 Figure 5: Wheelchair side profile. Promoting Occupational Performance is important to a wheelchair user to ensure they have a good quality of life and maintain their wellbeing and confidence. This is achieved through being able to perform every day activities with independence and ease from an appropriate and well-designed wheelchair. Using a wheelchair that has effective lumbar support and promotes healthy posture can produce a significant improvement in Occupational Performance. Stockwell CW. Lumbar posture, movement and mechanics. In: Physical Therapy of the Low Back. Churchill Livingstone 1979; 67. Pynt J, Higgs J, Mackey M. Seeking the optimal posture of the seated lumbar spine. In: Physiotherapy Theory and Practice: An International Journal of Physical Therapy 2001; 5-21. Hedman TP, Fernie GR. Mechanical response of the lumbar spine to seated postural loads. In Spine 1997; 7: 734-743. Andersson GB, Murphy RW, Örtengren R, Nachemson AL. The influence of backrest inclination and lumbar support on lumbar lordosis. Spine 1979; 4: 52-58. Bogduk N, Twomey LT. Clinical anatomy of the lumbar spine and sacrum. 3rd ed. New York: Churchill Livingstone. Journal of Anatomy 1997; 134: 383-297. Hall S, Marshall K. A beginner’s guide to postural management. Royal Hospital for Neuro Disability 1998. Keegan JJ. Alteration of the lumbar curve related to posture and seating. In: Journal of Bone and Joint Surgery. 1953; 35A: 582-603.